The project entails the development of a U.S. Virgin Islands Museum and Cultural Center through the redevelopment and preservation of the old Jarvis School Complex in Charlotte Amalie. The mandate of the redevelopment is designed to preserve and develop the cultural heritage of the U.S Virgin Islands. The islands are rich in narratives, craftsmanship, and architectural quality, yet a critical effort is needed to translate these attributes into tourism revenue. 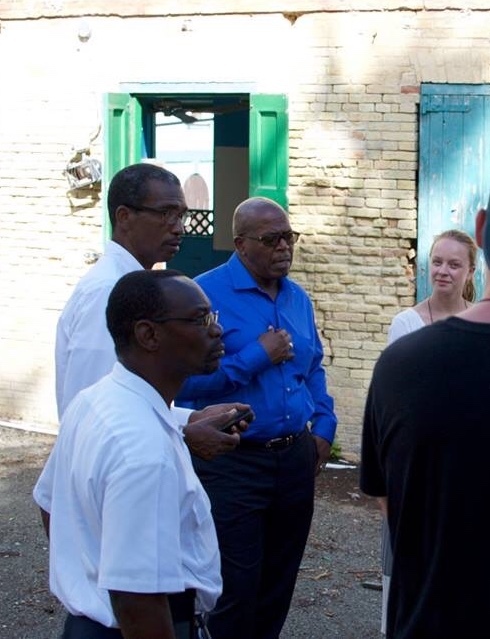 The Jarvis School Complex project provides a unique opportunity to target preservation dollars for the renovation of an historical and culturally significant structure that can fulfil a key mandate - increase tourism to the U.S. Virgin Islands. The U.S. Virgin Islands were hit by two category 5 hurricanes in 2017 which resulted in damage that makes the preservation strategies of artisans, conservationists, and architects even more critical. This project aims to give the U.S. Virgin Islands a sustainable market for cultural heritage. The Jarvis Project consist of the development of 3 buildings. Two of these are derelict and were lightly damaged hurricanes in 2017 and require just facade reconstruction (part 1). The third building estimated at 10,000 sq. ft (part 2) is a new construction and will reflect a modern and sustainable design. The building will consist of a modern museum facility placed on an open plot of land on the corner of Government Hill and Hospital Street. The local community is expected to use the facilities for various activities such as: an event space for any occasion - parties, weddings, receptions, concerts, gallery facilities, lectures, community events, fundraising events, etc. The Dion Parsons Music School will also be a major partner and will offer courses for young musicians. My Brother’s Workshop, a social enterprise dealing with young persons, is planned to operate the café, assume the daily maintenance tasks, and occupy a large workshop area. Strengthen and enhance the historic identity of the site. Attract ‘cultural tourists’ (who spend more than average and stay longer at a destination. Demonstrate that a redeveloped Jarvis School facility can generate robust revenue for the foreseeable future. Confirm that the facility can operate independently without any additional municipal revenues. Function as an active and complementary partner to other heritage and culturally significant structures on the U.S. Virgin Islands. Confirm that the facility can operate as an integral contributor to the redevelopment of U.S. Virgin Island properties, with hours of service that ensure continuity with other cultural facilities. Demonstrate that the level of financial risk in operating the Jarvis School is relatively low, and that options for mitigating that risk are available. Reveal that the facility’s revenue estimates (in percentage terms) are conservative compared to actual percentages of heritage organizations across the country. It will attract significant numbers of tourists to the region. It will have significant local economic impact to the community and surrounding businesses. It aligns with a guiding principle of building from the diversity of its people, landscape and history to inspire innovation and reinforce a keen sense of place.